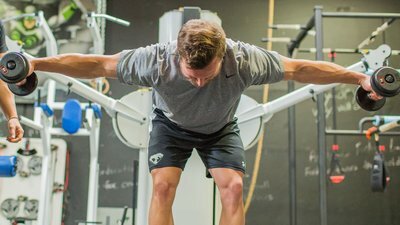 Are you constantly chasing down new exercises to fill out your workouts? There's a better way! Take the classics and make them feel brand new with these simple tweaks. 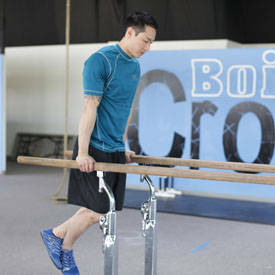 It's no secret that varying your routine keeps your body positively adapting and makes your workouts more interesting. But the question, of course, is how to do it. 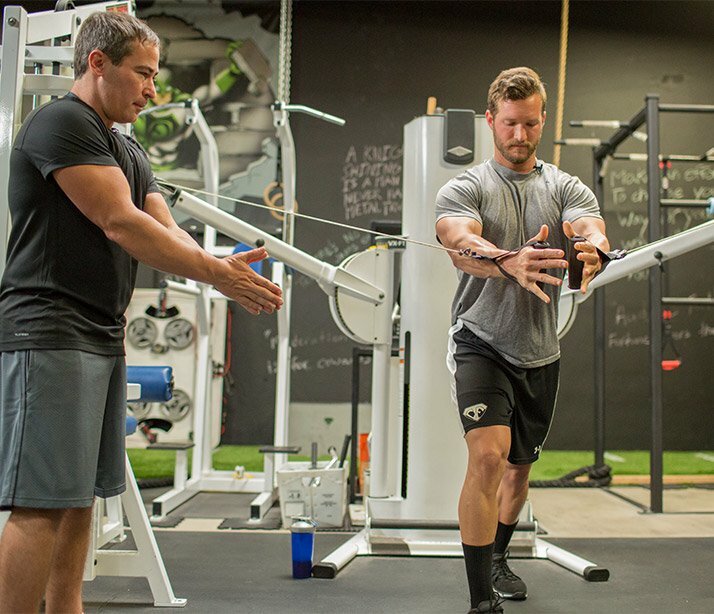 Do you have to dramatically switch movements or entire styles of training to see results? 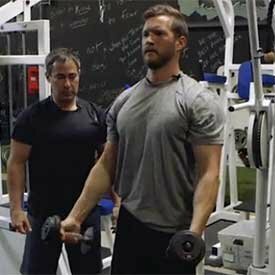 Creating variety in your training doesn't just mean constantly doing new exercises; it can also be about changing the way you do the exercises. 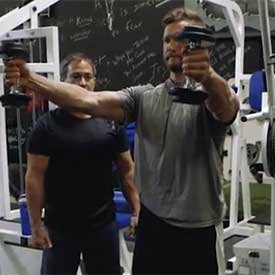 As Steve Weatherford and I showed in the "True Muscle Trainer," you can certainly stick with the basic muscle-building exercises, but apply them in a variety of not-so-basic ways. 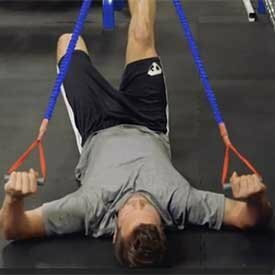 I've already written about the scientific benefits of isometrics and exaggerated eccentrics; I'm now providing you with a chest, shoulder, and triceps workout that will help you put these techniques to use to give yourself a new training challenge and spark new muscle gains. 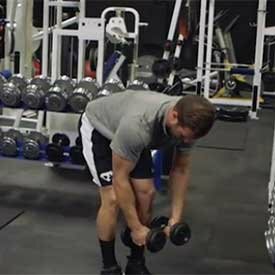 You're about to see sets of staple chest, shoulder, and triceps exercises in a whole new light, all while getting a great workout that will give you an incredible pump. Stand with your torso roughly parallel to the floor with your knees bent 15-20 degrees and your back straight. Keeping a small bend in your elbows, raise your arms out to your sides, just outside your hips, pointing your thumbs toward the floor. Your arms should be at a 15-degree angle relative to your torso at the top of each repetition, thus forming an "A" shape with your torso. 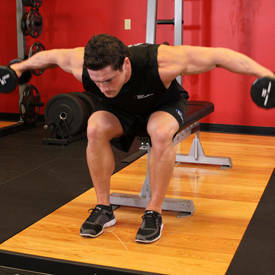 Pinch your shoulder blades together at the top of each rep. 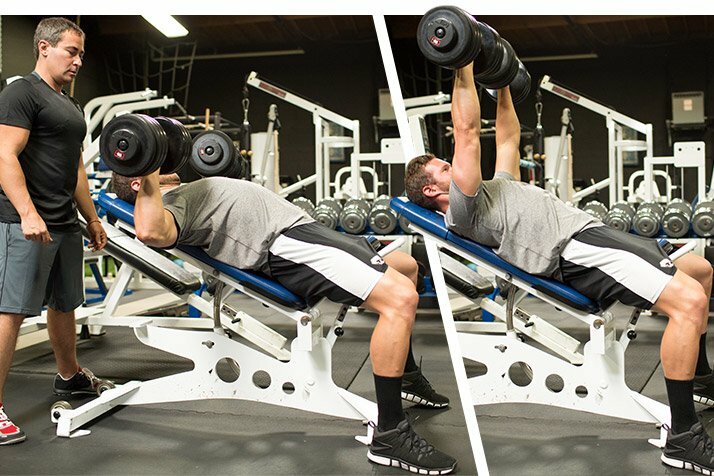 Pause for 1 second at the top of each repetition, then slowly lower the dumbbells in front of your torso. 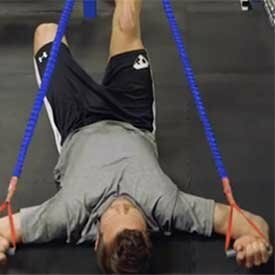 Hold one side of the rope in each hand with your arms by your sides and your elbows at 90 degrees. With your knees slightly bent, straighten your elbows toward the sides of your body until your arms are straight and the bottoms of your hands touch your thighs. Don't allow your shoulders to round forward as you press the rope downward on each repetition. Keep your elbows by your sides throughout. 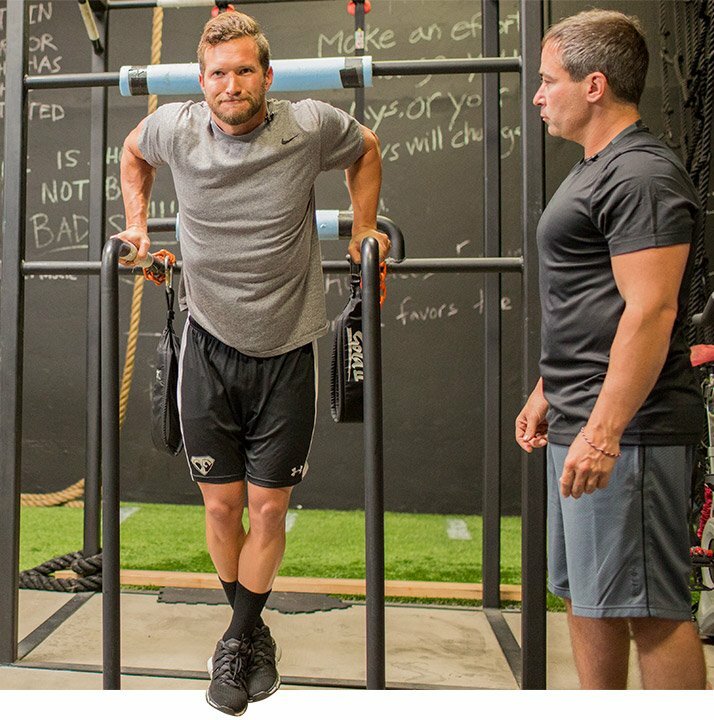 If you don't have access to a dip station, you can make your own with a squat rack and two empty barbells, as I explained in my article "7 Gym Hacks You Need to Know". Set the safety pins a little higher than waist height, set up between the barbells, and start dipping. Don't worry about the barbells rolling when you perform the dips. They shouldn't move once you put your weight on them.